We are looking forward to seeing you in Glasgow! These researches are part of the LAMETTA or IGAMaps projects. Kuno Kurzhals has started in our group as a PostDoc. 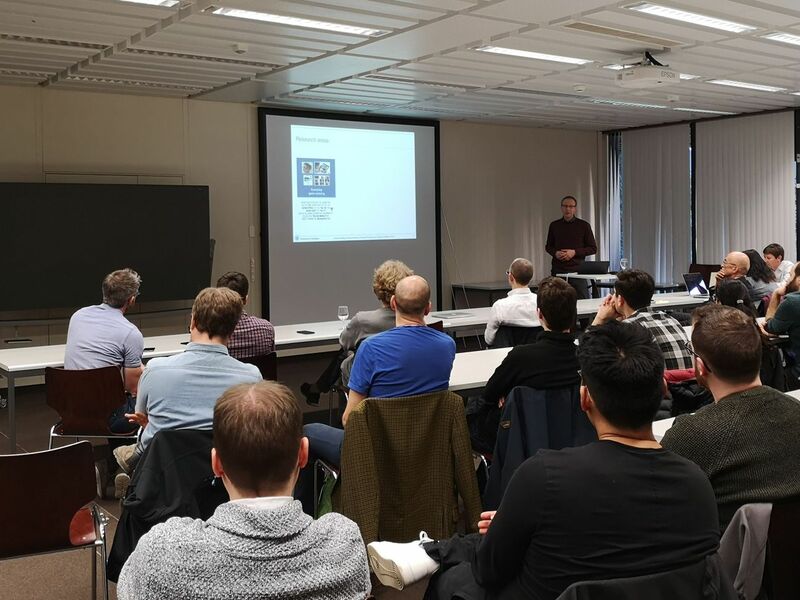 More than 30 participants attended the meeting of the Eye Tracking Interest Group Zurich (ETIZ) hosted by us on 26 March 2019. Our invited speaker Andreas Bulling (University of Stuttgart) provided insights into his current and past research on pervasive eye tracking. Tiffany Kwok (GeoGazeLab, LAMETTA project) presented her PhD research on gaze-guided narratives. In an interactive mini-workshop, moderated by Arzu Çöltekin (FHNW), attendees brainstormed about challenges of eye tracking in VR and AR displays. Discussions were continued during an apéro, and many took the opportunity to try out a gaze-adaptive map demo (Fabian Göbel, GeoGazeLab, IGAMaps project). We are going to host the next meeting of the Eye Tracking Interest Group Zurich (ETIZ). Everyone using, or planning to use eye tracking in their research is cordially welcome! Check out our vision for pilot interactions in the cockpit of the future at the project page. 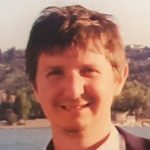 We are happy to welcome Luis Lutnyk as a new PhD student in the GeoGazeLab! His research will be about eye tracking in aviation. A quick reminder for the “Eye Tracking for Spatial Research” event that is going to be a track at the “2019 ACM Symposium on Eye Tracking Research & Applications” (ETRA). Feel free to also forward the Call for Papers to any interested colleagues. We’re glad to announce the 4th edition of the “Eye Tracking for Spatial Research” (ET4S) event which will take place June 25-28, 2019 in Denver, Colorado, USA. ET4S aims to bring together researchers from different areas who have a common interest in using eye tracking for research questions related to spatial information and spatial decision making. The Call for Papers is now available (Paper abstracts due: December 14, 2018). Two news articles published about the “Awareness in Aviation” project (both in German). One article, written by Dominik Haug for the Aeropers Rundschau, which can be found here: Eye-Tracking – das Auge im Blick. Another article, written by Benjamin Weinmann for the Aargauer Zeitung, which can be found here. Fabian Göbel, Peter Kiefer, Ioannis Giannopoulos and Martin Raubal. 2018. Gaze Sequences and Map Task Complexity. GIScience 2018, Melbourne, Australia. 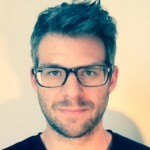 Fabian Göbel, Henry Martin. 2018. Unsupervised Clustering of Eye Tracking Data. Spatial big data and machine learning in GIScience, Workshop at GIScience 2018, Melbourne, Australia. Both works are part of the IGAMaps project. We are happy to announce, that our paper received the best paper award at ETVIS! The paper is part of the Awareness in Aviation project. We have presented the LAMETTA project at the GeoSummit in Bern (6-7 June 2018), the largest congress for geoinformatics, surveying and planning in Switzerland. Federal councilor Guy Parmelin was one of the first visitors of our exhibit and was very interested in the innovative system. Due to his subsequent opening speech, there was no time to try out the gaze-based tourist guide to Lake Lucerne himself, but the short visit seemed already impressive. 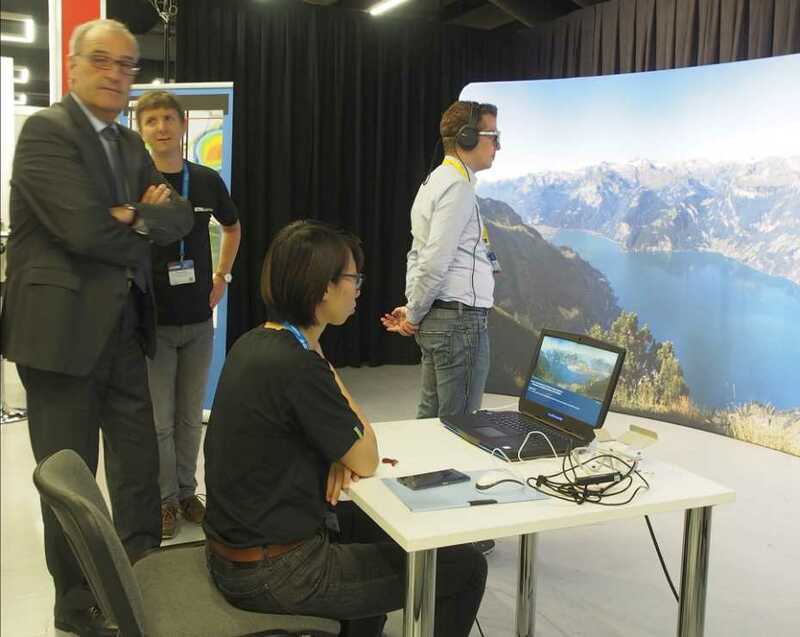 A large number of visitors from both, industry and academia, visited our exhibit and tried out the system. In addition, our exhibit was part of the GeoSchoolDay – an event in conjunction with GeoSummit which introduces students at high school age to applications and opportunities of geo information technologies. Approx. 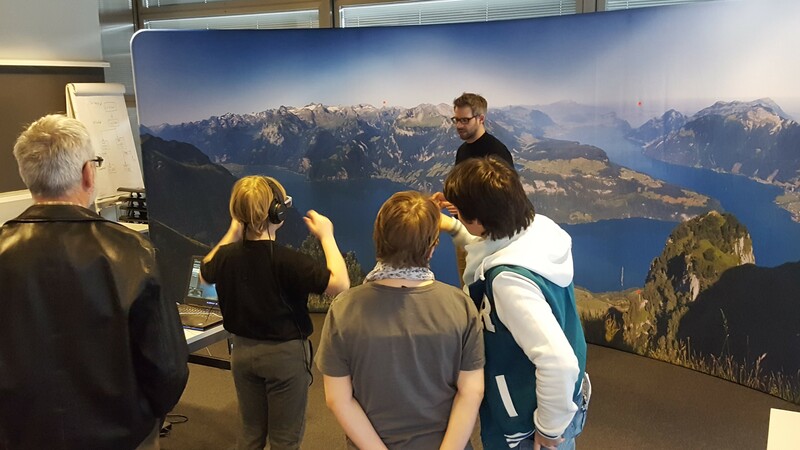 500 pupils visited LAMETTA and learned about eye tracking and its application in interactive systems. ETH News for Industry published a video on our “Awareness in Aviation” project. We are happy to announce, that two of our papers have been accepted at ETRA and ETVIS. These papers are part of the IGAMaps and Awareness in Aviation projects. Peter Kiefer has further been involved in ETRA as an Area Chair. 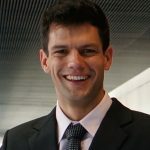 We congratulate Ioannis Giannopoulos to his new university professor position at TU Vienna, where he is heading the Research Group Geoinformation at the Department of Geodesy and Geoinformation (since January). 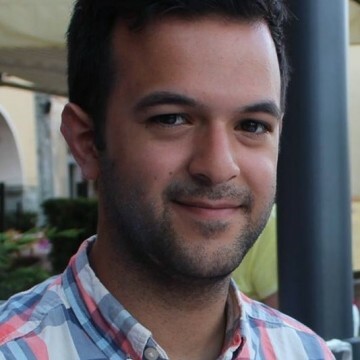 Ioannis was a PhD student and PostDoc with the GeoGazeLab between 2012 and 2017. 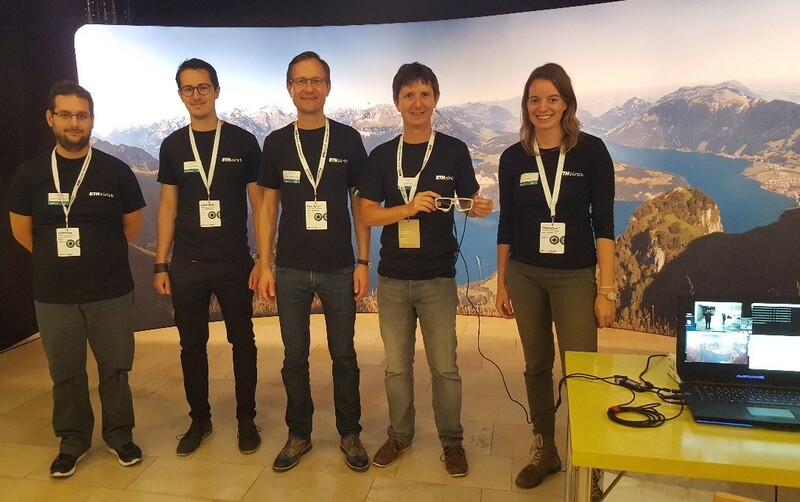 The LAMETTA project has been demoed at this year’s “Treffpunkt Science City” event, an educational program of ETH Zurich for the general public where more than 3,000 visitors came. Our panorama wall installation and the LAMETTA software allowed our visitors to experience as if they were exploring the view from a vantage point. Just by looking at the interested area (such as lakes, mountains and villages), our system can provide related information to the user. We’re excited to demonstrate the LAMETTA project at ETH Treffpunkt Science City, the educational programs of ETH Zurich for all. Come and try out an interactive mobile eye tracking system! Explore a mountain panorama and interact with it only by using your gaze (more details)! You can find us Sunday, 25 March in ETH Hönggerberg HCI, Room E2. Have you ever thought of eye tracking data as spatial “big” data? Are you collecting large amounts of eye tracking data together with geo-spatial coordinates, or are you applying machine learning on such data? Then the workshop on “Spatial Big Data and Machine Learning in GIScience” at this year’s GIScience conference in Melbourne might be interesting for you. The 1st Call for Papers is now available on the website. This research is part of the LAMETTA project. We welcome Tiffany as a new PhD student in the LAMETTA project! Many thanks to all participating in this workshop and making it an inspiring event. We have published the workshop proceedings through the ETH Research Collection. 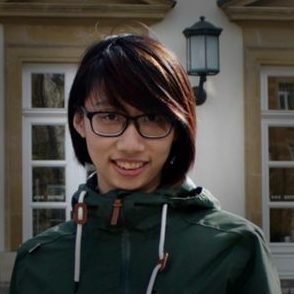 Four Geomatics Master students have developed a public gaze-controlled campus map in the context of an interdisciplinary project work this autumn semester (Nikolaos Bakogiannis, Katharina Henggeler, Roswita Tschümperlin and Yang Xu). 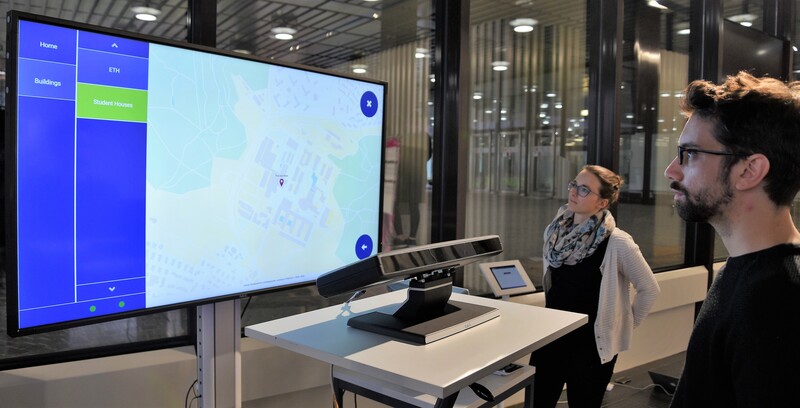 The system prototype has been tested in a one week field study performed at the Campus Info Point at ETH Hönggerberg with 50 campus visitors. The results of the thesis will be presented at a public event on Thursday 14 December, 2017 between 17:00 – 18:00 at HIL D 53. During the apéro afterwards, you are welcome to try the system yourself. You have an interesting eye tracking research prototype to show? You would like to join the ET4S workshop, but have missed the deadline for regular papers? You have a regular paper accepted and would like to take the opportunity to gain even more visibility and get direct feedback for your system? We’ll have a dedicated demo session at the ET4S workshop in January 2018 in Zurich. We hope you consider submitting a short abstract (1 page) with a demo proposal (before November, 8). 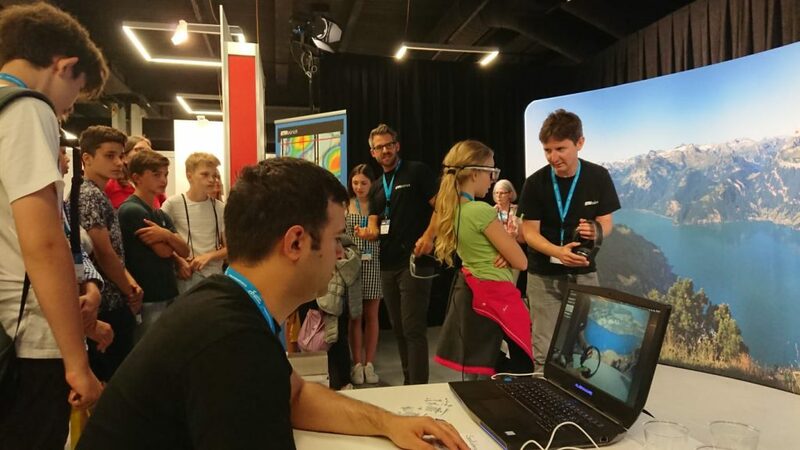 We have demoed the LAMETTA project at this year’s Scientifica, the Zurich science exhibition of ETH Zurich and University of Zurich with more than 30,000 visitors. Our panorama wall installation enabled visitors to query information about lakes, mountains, and villages just by looking at them. Many visitors found the hidden treasure in the panorama and were rewarded with a piece of Swiss chocolate. 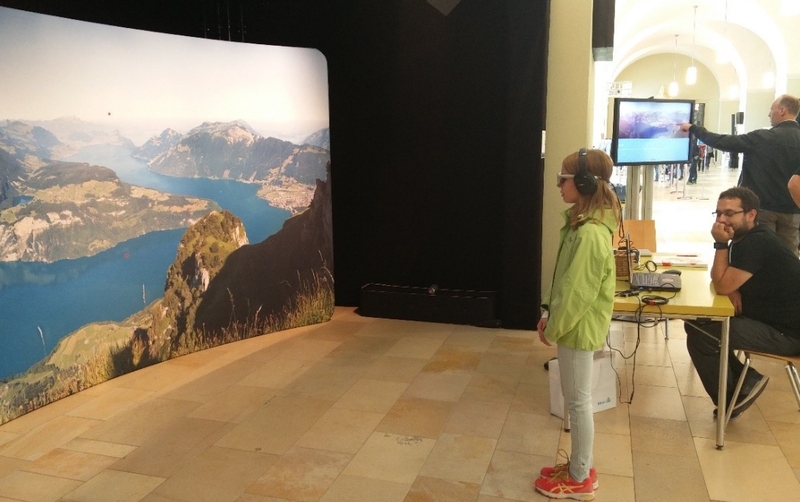 Visitors of all ages tried out and learned more about gaze-based interaction and mobile eye tracking technology. We are happy that so many people were interested and eager to discuss our research and potential applications to tourist guides of the future.